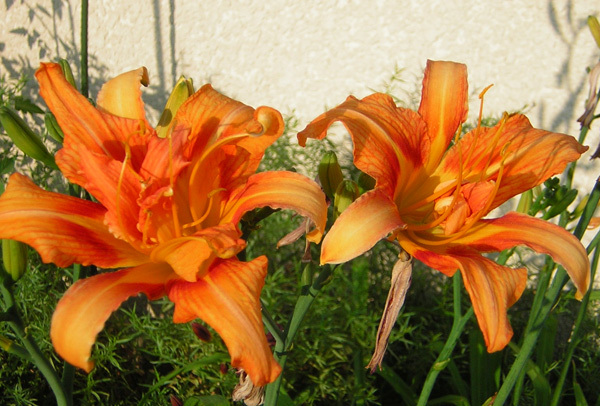 These are very old-fashioned double day lillies in a fabulous shade of orange. They were left by the prior owner and we haven’t touched them. And they have such long stems, maybe 3-4′ or more!